You may not often think about your nail file, but it's time to say hello to your new favorite. 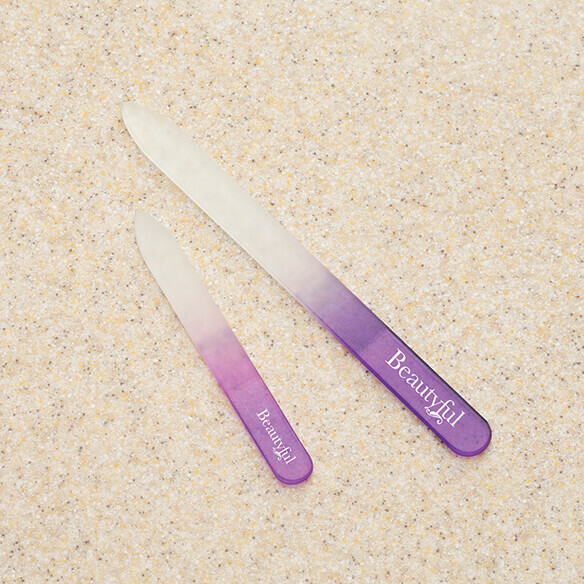 The Beautyful™ crystal nail files have a non-porous glass filing surface that's kinder than metal files. 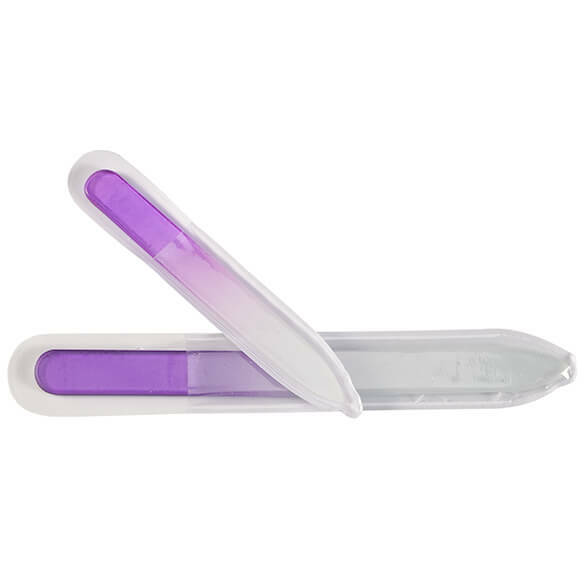 The glass file is smooth, extremely durable and won't harbor germs or bacteria. Keep one at home and tuck one into your purse for on-the-go convenience. Like the smoothness of using this file as opposed to a metal file. More gentle on nails. have had one of these for years. Nails come out smooth and snag free. Am now adding one to each handbag. Glass files are the best I have used. I need a file that is not as raspy as metal ones and this looks like it will fit the bill. I have used one before. I have used these before and I liked them. It works better for my soft thin nails than anything else. My daughter has one & loves it because it doesn't tear your nails. BEST ANSWER: Thank you for your question. The files are made in China. We hope this information will be of help to you.